The second captivating installment of Aleron Kong's Chaos Seeds series. "We are life takers and heartbreakers," Richter shouted. "Let's go!" Richter and Sion are at it again! Even more of what you loved in the first book. Leveling, world building, awesome items, and what's that you say? Sure! Why not? What's a little necrophilia between friends? 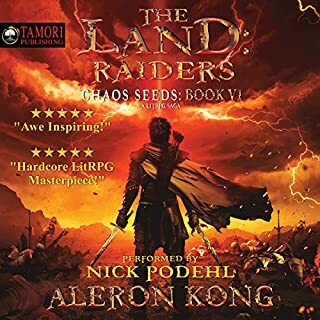 Join your favorite Chaos Seed as he answers the call of adventure and deals with the invaders, greedy dwarves, and a wood elf that keeps telling him he has a pretty mouth. Welcome back, my friends! This is a really good book series and the story telling the story is just the best. a great way to pass time. I'm still impressed with the integration of modern slang without it seeming overbearing. Alright story and I'm as always really impressed with the narrator. this series only gets better and better!!! 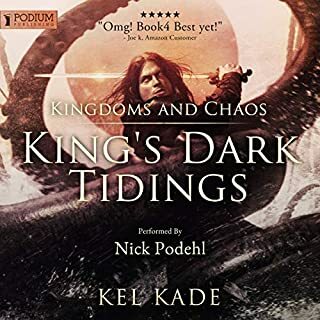 I was looking for another book to listen to while I wait for the next book in the Name of the Wind series and boy did I found it here! if you finished the first book, there is no need to review the second. The captivating story will keep you wanting to learn more about how the story unravels. 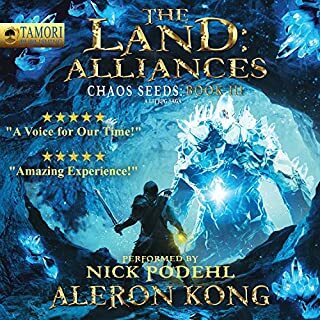 Would you consider the audio edition of The Land: Forging to be better than the print version? This book was AMAZING. 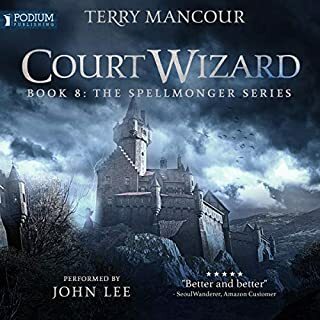 It blended so seemlessly with the first book that I didn't really feel like it was a sequal, but a new episode in a miniseries with the same overarching story. 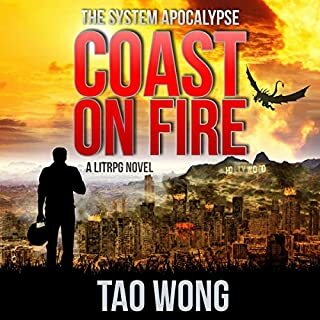 So engrossed in the story, and so completely enamored with it, I honestly couldn't tell you know where the end of the first book left off and this one began. And yet, the first book ended in a way that I remember being satisfied and that the book was over. I don't know exactly how the author managed to create an ending that felt like an ending at the time, but also now barely feels like a brief pause in such an engrossing story. Absolutely. 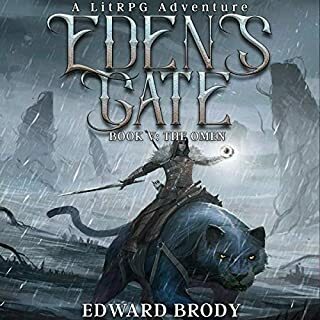 This book made me fall in love with the LitRPG genre all over again. 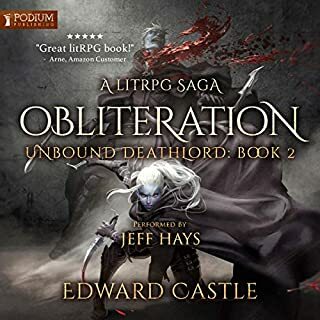 In preperation, I've already set aside enough credits at Audible to purchase all the books in the series once they are released. I'll be listening to each and every one the same day they are released. I haven't been so excited for a series since The Wheel of Time was still being written. Move over, Song of Ice and Fire. You've been replaced in my audiobook library as most anticipated! The author managed to either anticipate questions the reader will have, or writes so well, he leads you to ask the questions he wants in the first place. And then, he answers them! He doesn't keep us starved for more, he is generous and mindful enough to give the reader exactly what they want and in a timely manner. Absolutely! Sadly, I had to sleep in the middle, but the book had engrossed me so completely, I actually DREAMED of the characters. 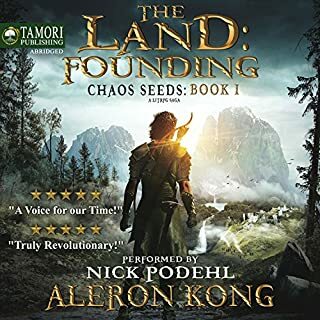 Nick Podehl was an AMAZING choice as narrator. As one of the best male narrators in the game, I honestly couldn't have been happier with anyone else's performance. He is truly a master of his craft. 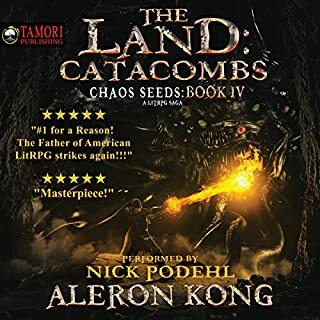 this is now my new favorite book like ever with the game schematics mixed with storytelling make an amazing new world. the puns and witty humor are an added bonus. In short best damn book ever! Really enjoy this series. 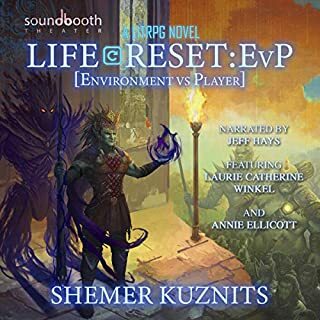 Read the books first as e-books and now I'm going back and listening to them as audio. 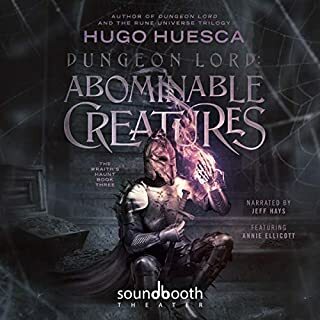 Very much looking forward to the rest of the series coming to audible and the 7th book, which is coming out soon. Crossing my fingers that by the 8th book, ebook and audible version will release simultaneously. 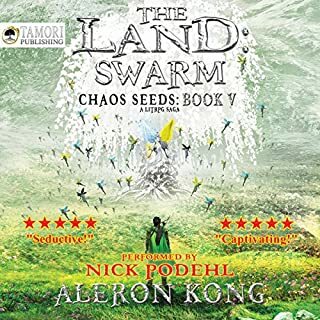 Also, the author Aleron Kong, really churns out the novels, so as a reader, you have confidence it won't be years in between releases. It's more like months. The main character is evolving nicely, but I'd love to see some more deeper relationships evolve for him. His relationship with Sion is great and you really feel that sense of camaraderie. 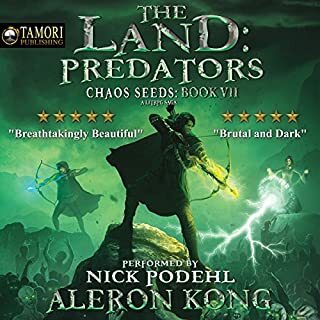 Eventually you get the same with Terrod and Krom but I feel like the relationships with the females are a bit more superficial and not well fleshed out (mostly simple flirtation and so on). But the series appears to be setting up for a lengthy run of novels, so here's to hoping those will come. Here's hoping for some strong and prominent female characters. 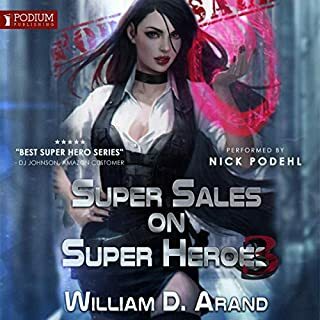 Nick Podehl continues to be an outstanding narrator with a great range of voices that he lends to the characters. He also just has an excellent feel for pacing as he reads the book. 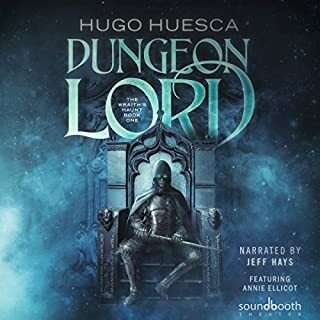 Can't recommend him as a narrator enough. I personally feel the series rewards my continued investment as a reader and honestly, that's what I'm looking for anytime I start a book. This book makes me giggle. The RPG elements are something I never expected in a book. Every moment you think you know where the story is headed, another twist or quest to explore, but then the story shifts and presents you with a new thought or exploration! It is fantastic listening! The reading performance is well done with character voicing being consistent and spot on! 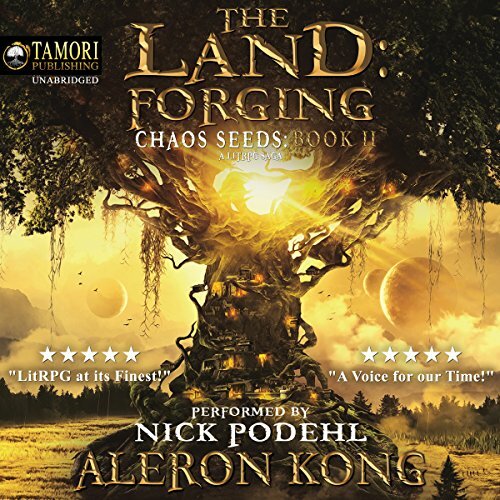 What did you love best about The Land: Forging? i liked every single thing about it. the fact richter goes from irl to living a rpg out is pretty coo. 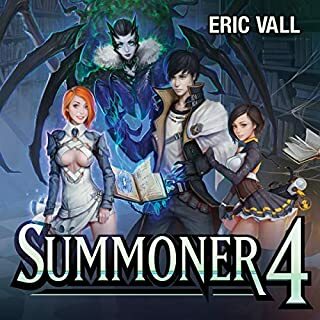 first litrpg ive listened to. richter obviously, now i have only listened to the first two books as i dont have time to sit and enjoy a book. krom the blacksmith. pretty funny and when you picture the dwarf as he goes on it is even better. 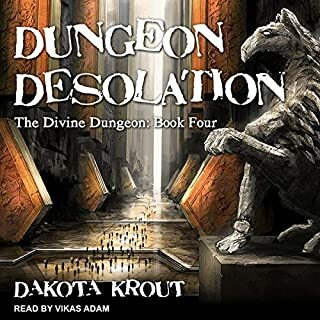 Bring the rest of the series to Audible! My only complaint is that the books are not longer. Nick does an amazing job bringing the character to life. The story keeps me wanting more. Plenty of laugh out loud moments. I really hope the rest of the series gets here faster. Nick Podehl does an amazing job brining Aleron Kong's characters and world to life again making that just 5 more min before bed turn into hours. I continue to love the sarcastic humor between Richter and Sion. This book has it all video game / role playing game mechanics, amazing characters, dungeons, and monsters to kill. Begins right where the first left off. The story picks up the pace dramatically. Richter develops his powers and his village in this installment. In addition, he learns of several looming threats in the distance. It never slows down and I love it. just a little bit less good then the first book for me, too much base building for me, but still pretty damm good ! 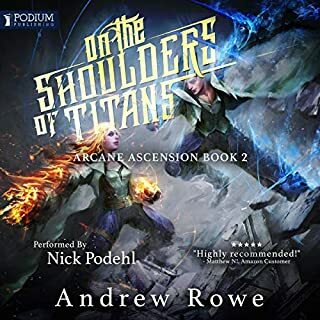 has always Nick Podelh did a fantastic job !